Once believed nearly extinct in China, the Siberian tiger, the largest member of the cat family, is making a comeback, the result of a decade-long effort to restore its natural habitat by banning logging, hunting and trapping. Chinese have been amazed not only by the apparent growth of the tiger population but also by how far the felines have spread. 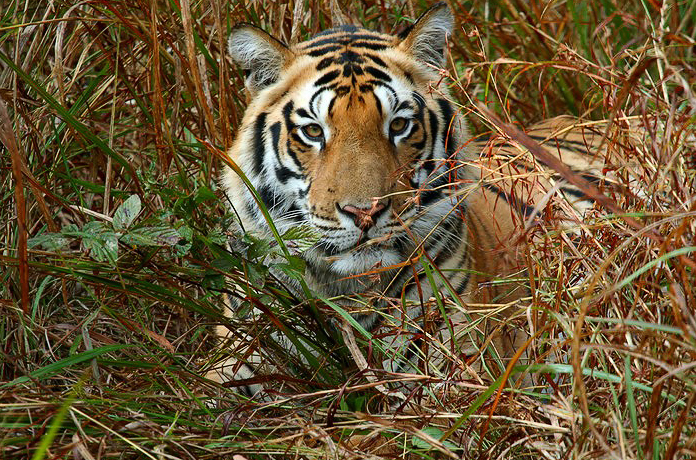 It made headlines around China this year when tigers were seen near Jiamusi, a city 140 miles from the Russian border. 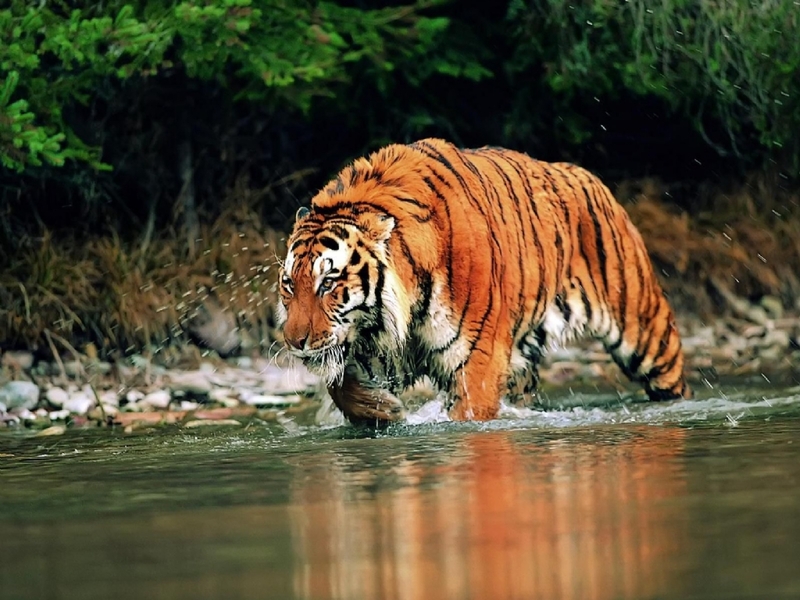 In China, the number of Siberian tigers living in the wild (far smaller than those in captivity) has been listed in government statistics at between 18 and 22 for some years. Nobody knows the exact number, because the Chinese don’t have tracking collars on the tigers, but there could be as many as 40 now and that the population is growing. Conservationists believe that the number of tigers has doubled in the last decade and that the area populated by tigers has become much larger. Tigers are endangered throughout the world: Their population in the wild has dwindled from an estimated 100,000 in the early 20th century to as few as 3,200 today. 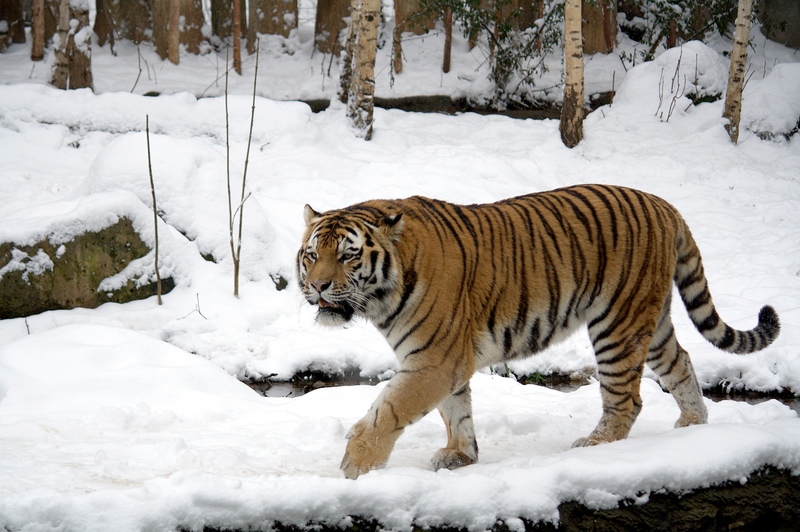 Siberian tigers, also known as Amur or Korean tigers, are among six surviving subspecies and are native to the boreal forests, or taiga, of China, Russia and North Korea. Although they weigh as much as 675 pounds, Siberian tigers are elusive creatures that slink into the forest when humans approach. Although Chinese still buy illegal body parts of tigers — poached in India or killed in captivity — for traditional medicine, the wild tigers have not been hunted in China since the 1950s. In fact, hunting of all animals except rats is banned in China. But many people in the down-at-the-heels villages near the Russian border trap other animals, which also has an effect on tigers. First of all, tigers can easily be snared in traps. More important, trapping sets off a destructive cycle of theft; if humans steal the deer and wild pigs that are the tigers’ natural prey, the tigers in turn are prompted to steal the humans’ livestock. Yes, indeed. Probably nature has given it more ways to tackle hardships of a cold climate. Besides the bigger built, its body is more hairy perhaps to keep itself more warm. That also gives it a more ferocious look. Looks majestic though.